For over a quarter century Bob Rivard has toiled as a teacher and a coach impacting the lives of both students and athletes at McCann Vocational Tech and Hoosac Valley Regional High. 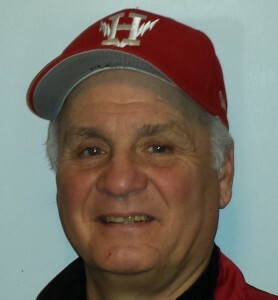 As the varsity baseball coach for the past 22 years Coach Rivard has led the Hurricanes of Hoosac Valley to 279 victories and a winning ratio of nearly 60%. During his tenure Coach Rivard’s teams have qualified for MIAA tournament play 20 times winning division titles on eight occasions while advancing to the Western Massachusetts finals five times and capturing three Western Massachusetts Championships. In recognition of these characteristics in 2009 Bob received the Bershire County “Passion for Coaching” Award and was recognized by Sports Caravan Radio as “Coach of the Year”. Having recently retired it is fitting that Bob caps a distinguished career by earning such a special honor.